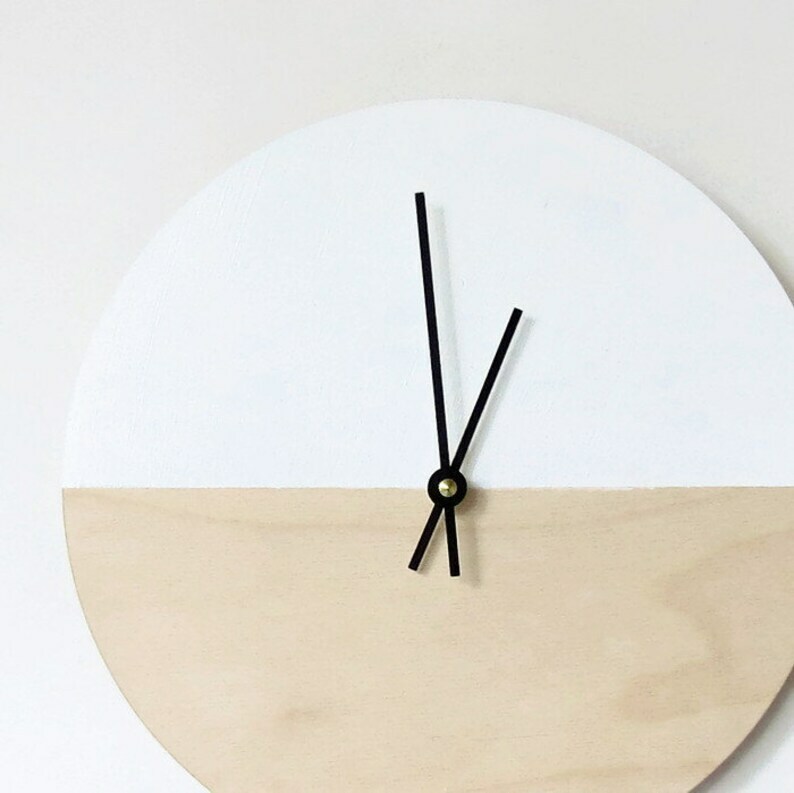 This modern wall clock will add a clean, crisp touch to your wall decor. The sustainable wood base is hand painted half white leaving half untouched. This clock would make a great gift for any occasion. The back of this clock is the perfect spot to write a message. Clock shown is 10" in diameter and 1/4" thick. Requires 1 - "AA" battery (not included). Thanks so much for stopping by to check out this modern wall clock!